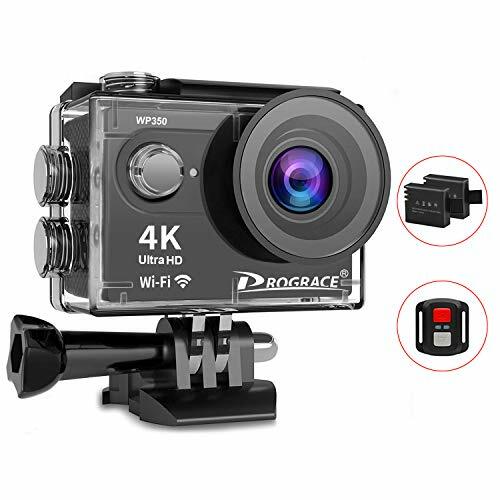 Purchase Prograce Action Camera Underwater Waterproof Video Sports Camera Camcorder 4K 30fps 1080P 60fps WiFi Full HD Digital Camera for YouTube with Remote Control and Accessories Kit 12MP 170° Wide Angle at Discounted Prices ✓ FREE DELIVERY possible on eligible purchases. 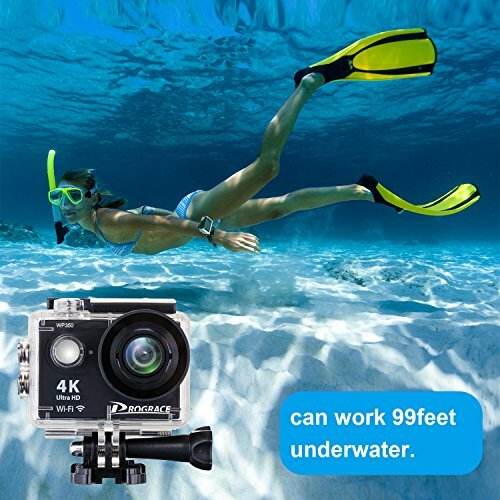 【Ultra Wide Angle of 170°】This 4k camera has a broad view of up to 170°with high resolution up to 4K. 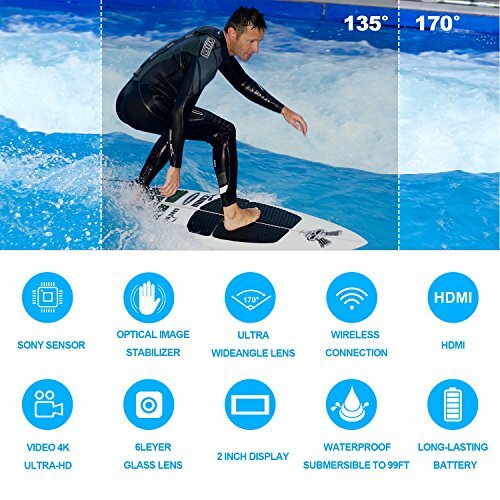 Also this digital camera will work with SD card up to 32G. 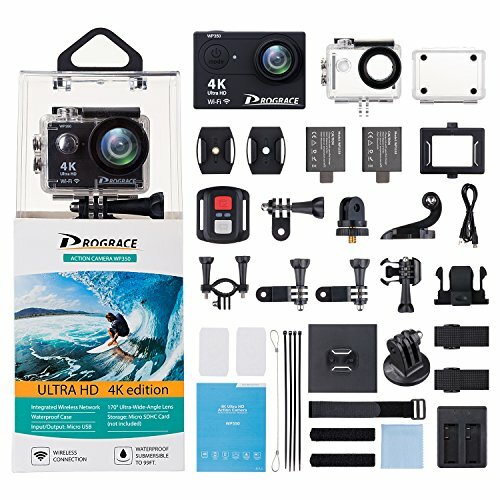 Note: This camera does not come with a card. 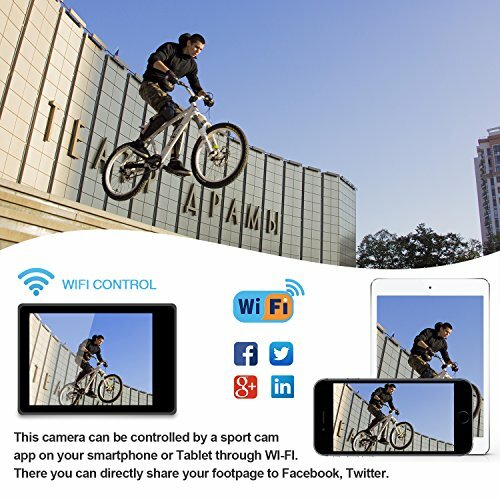 【Built-In WIFI & HDMI】This Wi-Fi enabled action camera can be connected to WI-FI with sport camera apps. 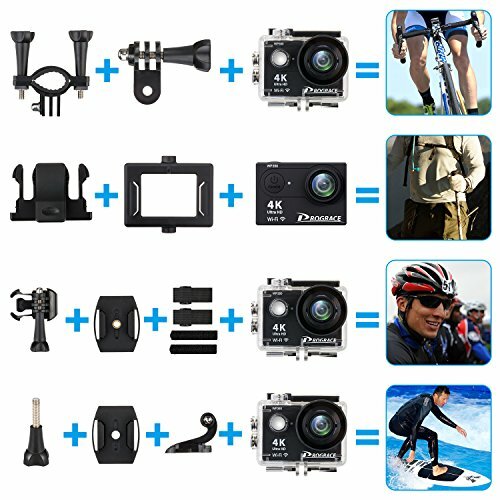 With this video action camera you can directly share your footpage to Youtube, Facebook, Twitter, Google+ etc. 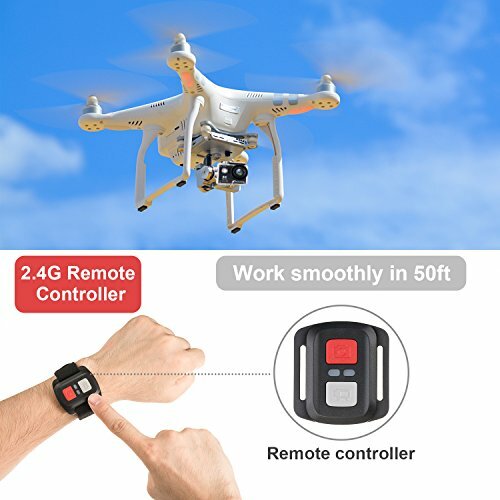 【Support Continuously Shooting Mode and 2.4Ghz Remote Controller】 This video action camera can work with a 2.4GHz remote controller and support continuously shooting mode.